Choose one of these Cincinnati Florists and have a beautiful, hand arranged flower bouquet delivered today. Same Day Flower Delivery available from most shops until 2:00 P.M. in the recipients time zone. Local Cincinnati, OH Flower Delivery from the talented and reliable florists listed below. Read about the city's humble roots while searching for Cincinnati florists. Cincinnati Ohio was one of the first early American boomtowns to come in to its own and rival the coastal cities in wealth and size. Founded as a territory 1788, it was originally called Losantiville and renamed Cincinnati in 1790 by then governor Arthur St. Clair. Cincinnati first became a village in 1802 before incorporating as a city in 1819. The city is big on festivals and each year they host Oktoberfest, The Taste of Cincinnati, The Macy’s Music fest (Formerly the Jazz Festival), The Festival of Lights, The Tall Stacks Festival, and the Cincinnati Flower Show to name just some of the many that take place throughout the year. The Cincinnati Flower Show claims to be the largest outdoor flower show in the U.S. and draws in tourists, Cincinnati flower designers, local residents, Cincinnati flower shop owners, as well as other floriculture professionals from out of area. The show includes exhibits and competitions, as well as several workshops by Cincinnati flower designers that are heavily attended by local Cincinnati florists and event planners alike. The city’s love of flowers is evident in the number of events that take place to showcase their beauty. In addition to the Cincinnati Flower Show, the city is also home to the Newton Flower Fair. This is a much smaller scale event with a "party in the park" atmosphere that includes food and beverage tents in addition to local Cincinnati flowers vendors. The proceeds of the fair benefit local charities. The Krohn Conservatory presents the Greater Cincinnati Orchid Show as well as yet another Cincinnati flower event – The Spring Floral Show which hails the arrival of Spring in the Cincinnati area. Cincinnati runs a successful "Keep Cincinnati Beautiful" initiative which aims to keep the city clean and beautiful with litter prevention, recycling and community beautification through citizen action. There are Cincinnati flowers planted along its highways and other public spaces. Cincinnati flower shops and greenhouses are known to donate flowers to community groups for planting along roadsides, public gardens and other city green spaces. With the number of festivals that take place outdoors, the city needs to work hard to look its best and thanks to the beauty of Cincinnati flowers and the generosity of area growers, they are indeed successful! 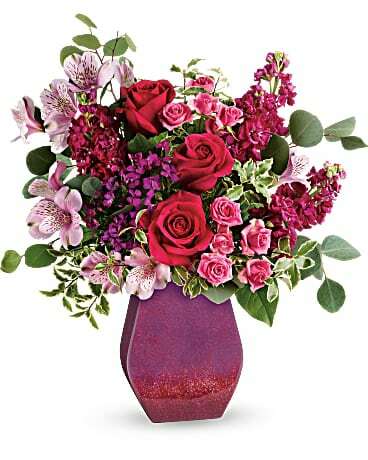 Find West Chester flower shops or florists in Sharonville to send flowers. Local Amelia florists and Fairfield flower shops will often deliver flowers to nearby cities as flowers will still arrive fresh in its vase. For flower delivery to Batavia or nearby cities, real local flower shops in Harrison or Morrow florists can help. You can be sure that flowers delivered by our florists in Milford or Mt Healthy flower shops will arrive in the freshest condition possible. Superior Customer Service. Specializing in Funeral, Weddings and all Occasions. Everyting is Customized for you!! Family Owned For Over 30 Years Finest Quality & Service Guaranteed! Cincinnati's Largest Florist & Garden Center! 100% Satisfaction Guaranteed!